Just for Fun: Easy Perspective simplifies the fundamentals of perspective and teaches you how to draw and paint proportionate artwork. 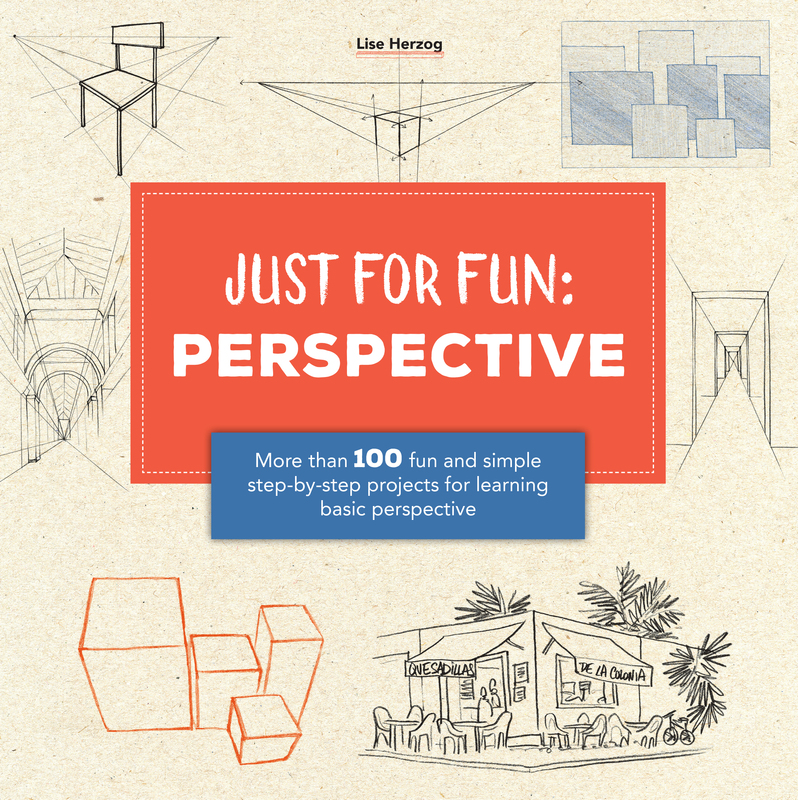 Just for Fun: Easy Perspective takes a complicated topic and makes it easy and fun for aspiring artists and art enthusiasts! Even if youve never picked up a pencil or paintbrush, you can follow the simple, step-by-step instructions, and create realistic, proportionate artwork using perspective. Featured subjects start with basic lines and shapes, then slowly progress with each new step to fully rendered artwork. Just for Fun: Easy Perspective saves the technical aspects of drawing and painting for more advanced students and prefers to touch upon the key concepts and fundamentals of perspective. Learn about the differences between one-, two-, and three-point perspective; vanishing points; and methods for measuring and dividing areas of a subject or scene proportionately. Use basic lessons on depth and distance to add color and create your own drawings and paintings with step-by-step instructions for shapes, architecture, portraits, animals, street scenes, and more. 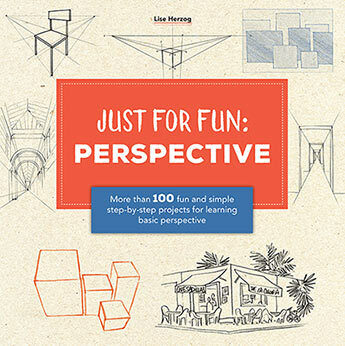 With approachable and contemporary drawings and paintings as well as lots of tips, instructions, and inspiration, Just for Fun: Easy Perspective will have even the most artistically challenged individuals mastering perspective in no time. Founded in 1922 by artist Walter T. Foster, Walter Foster Publishing, a division of Quarto Publishing Group USA and a subsidiary of the London-based Quarto Group, Inc., is the world's leading publisher of instructional art books and kits for adults and children. Walter Foster's diverse selection of drawing, painting, doodling and mixed media art books and kits have created a foundation for millions of beginning, intermediate, and advanced artists looking to hone their talents, learn new techniques, and discover different mediums. From color mixing recipes and art tools to the fundamentals of drawing and painting, Walter Foster's books cover a wide variety of topics and mediums across a broad spectrum of traditional and eclectic subject matter for artists of all skill levels. Walter Foster Publishing continues to expand its offerings every year, producing cutting-edge art-instruction books and kits for a worldwide audience.